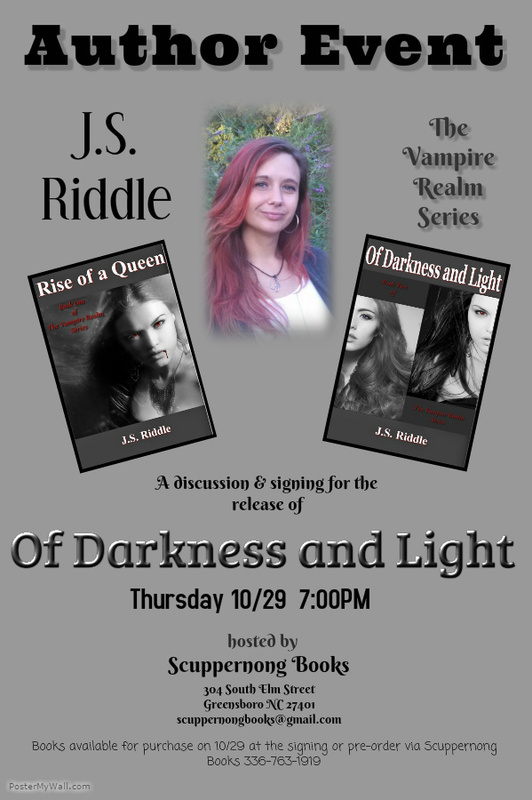 I am very excited to announce a special author event that will take place at the end of October. Since we are gearing up for the release of my second book, Of Darkness and Light (e-book October 8th, paperback October 22nd), this is just another goody to add to the bag. I am very happy to announce that I will be appearing at Scuppernong Books (304 South Elm Street Greensboro NC 27401) to discuss, sign, and maybe even read from my newest book. I’m grateful for this opportunity and anybody in the North Carolina, I would ever so pleased to see you there.